(Newser) – This wasn't your usual hangover. 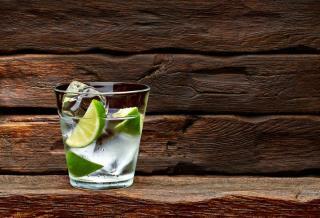 A single sip of a vodka tonic at an office party led to seven years (and counting) of kidney problems for one woman. The cocktail sent the 35-year-old to the emergency room with a mysterious affliction. It would be days before doctors realized the source of her illness was quinine-induced thrombotic microangiopathy (TMA) caused by the tonic water in her drink. Dr. James George, the lead author of a case report published Wednesday in the New England Journal of Medicine, tells Live Science the doctors were initially baffled by the affliction, which "hit like lighting." After the 2009 party, the woman suffered cramps, chills, nausea, and a fever. After three days of being unable to urinate, tests showed kidney damage and it appeared TMA was the cause. I suspect coke cola makes women suffer. Vodka Tonic? Gross. Should have done Vodka, OJ, Vodka/cranberry, Vodka, Kahlua, or just a nice clean shot of vodka.